1 TUB = 150 USES! WARPAINT takes a holistic approach to oral health without any nasty chemicals or additives. 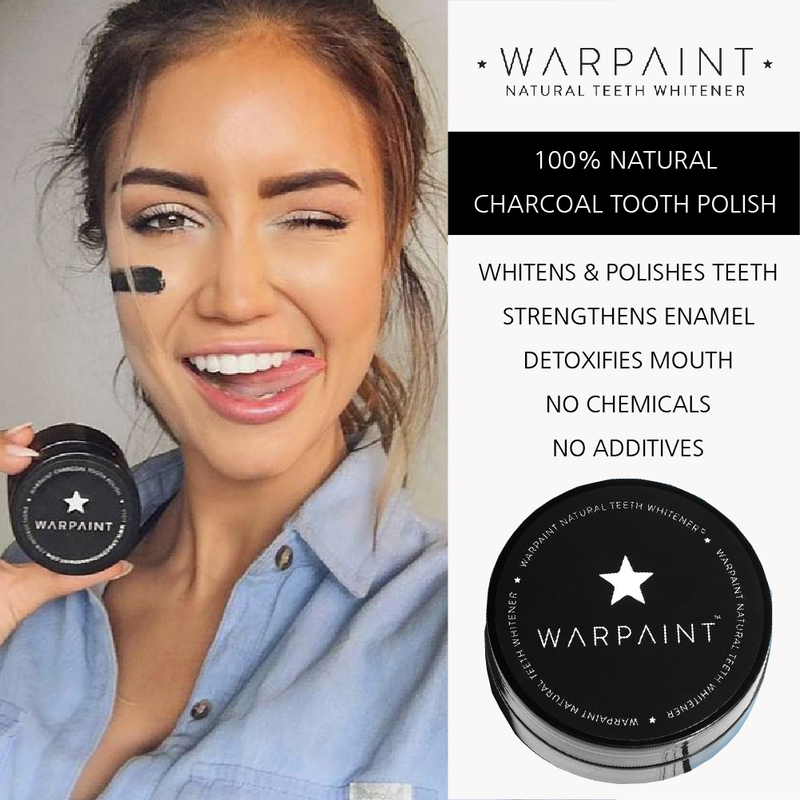 With carefully selected 100% natural ingredients, WARPAINT whitens and polishes teeth, strengthens. 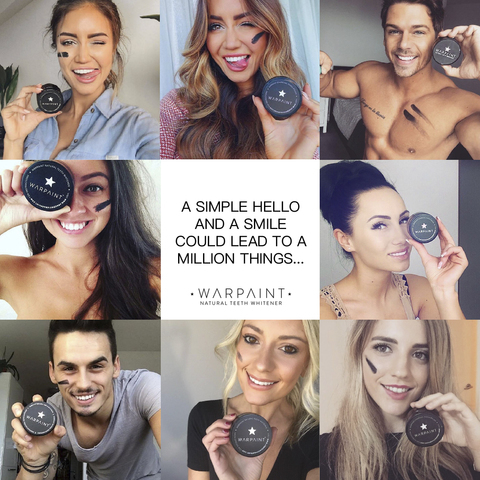 If you like our natural approach and you want to share your experiences, dab some Warpaint on your cheeks (as if you're heading into combat) and post a snap of your totally sparkly teeth using the hashtag #armedwithwarpaint. 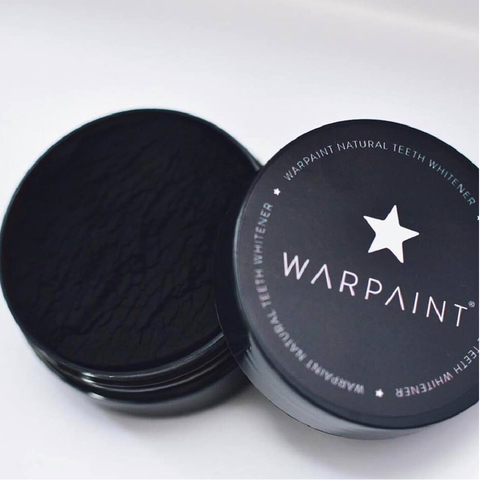 We use a non abrasive very fine activated coconut charcoal (the food safe type that is used in emergency situations in the Emergency Room for overdoses of medications, drugs and alcohol), it adsorbs materials, it is very porous and this allows the surface of the charcoal to attract and hold material and debris within the pores. Brushing with activated charcoal will help remove discoloration, stains (coffee, tobacco, tea, etc.) 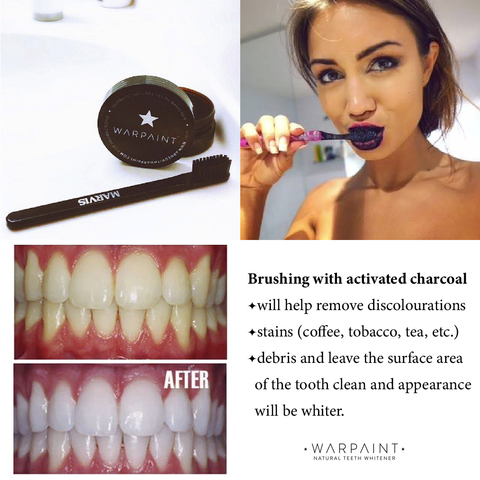 and debris and leave the surface area of the tooth clean and appearance will be whiter. 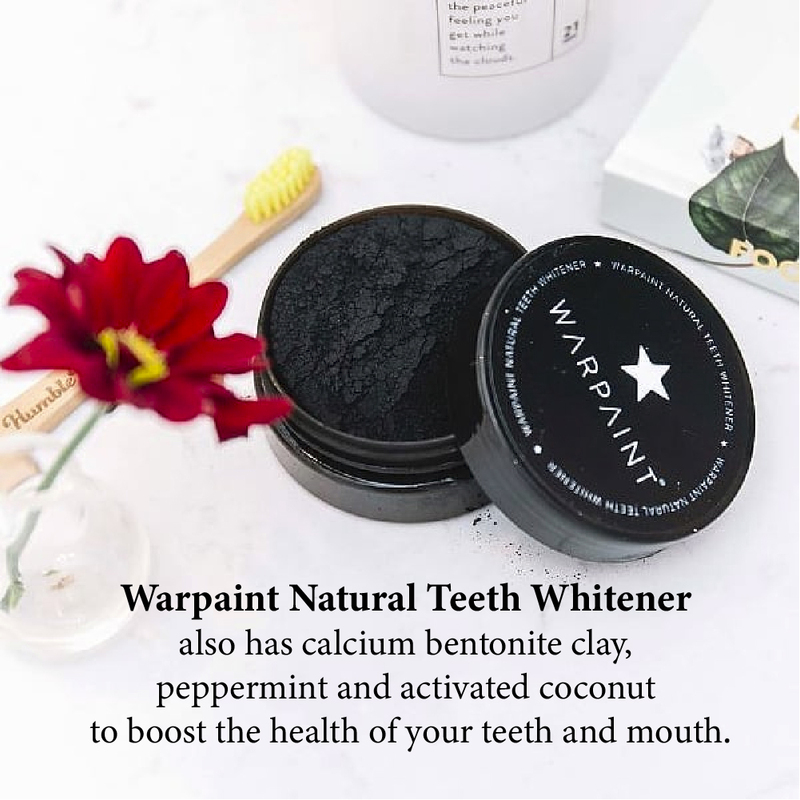 WARPAINT® was created in Australia out of a desire to produce a teeth cleaner and whitener that was made from natural and organic products that contribute to the health and wellness of the user. 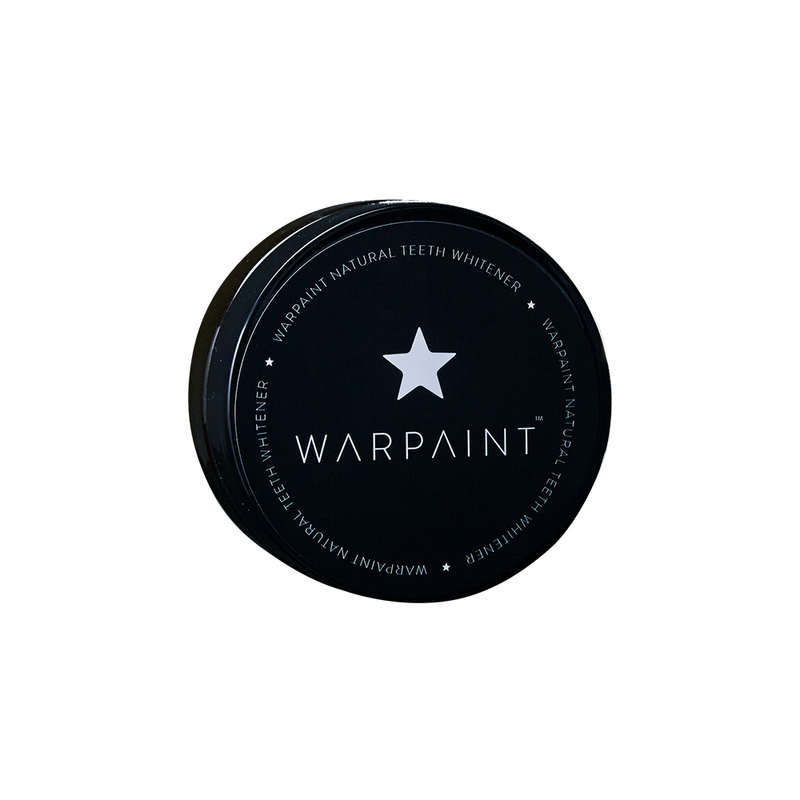 WARPAINT® is made with no harmful additives. 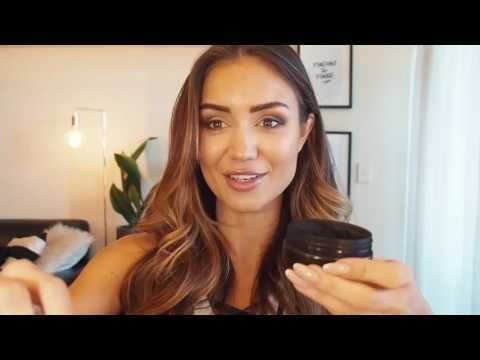 It is all natural, cruelty free and 100% vegan. WARPAINT® is manufactured in a GMP Compliance and TGA facility, ensuring the highest levels of quality control. Over time there have been several copies come on to the market with varying ingredients but often in very similar packaging, presumably designed to capitalise on the popularity of WARPAINT®. 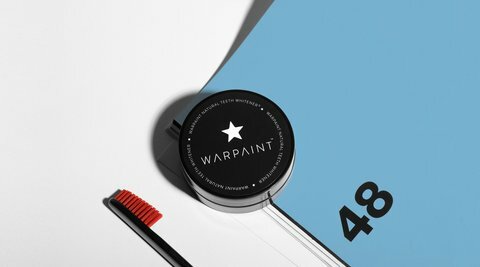 There have also, unfortunately, been some unscrupulous “resellers” who have, one way or another, gone against the terms and conditions under which WARPAINT® holds all its business dealings with its distributors and wholesalers. Please do not fall prey to imitations or cheap options being marketed as WARPAINT®, we want our customers to always be happy with their decision to use a natural alternative to cleaning and whitening their teeth.